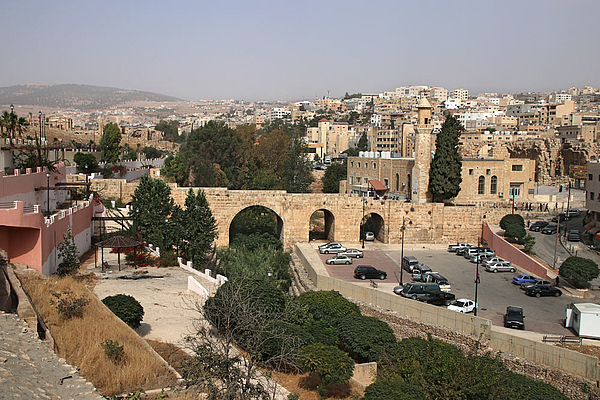 Two long bridges over the Chrysorrhoas (today Wadi Jerash) connected the urban area of ancient Gerasa with the large eastern bathing complex. This reconstructed South Bridge bridge is an extension of the southern Decumanus. On the far left one can see the archaeological site, and on the far right behind the mosque the Great Eastern Baths. Latin; east-west running main street of ancient Roman cities and military camps. Cardo = north-south main road.